Discussion in 'Gambling and Betting Forum' started by JimGunn, Feb 12, 2019. This card will feature the start of a four woman tournament to determine the next flyweight contender. 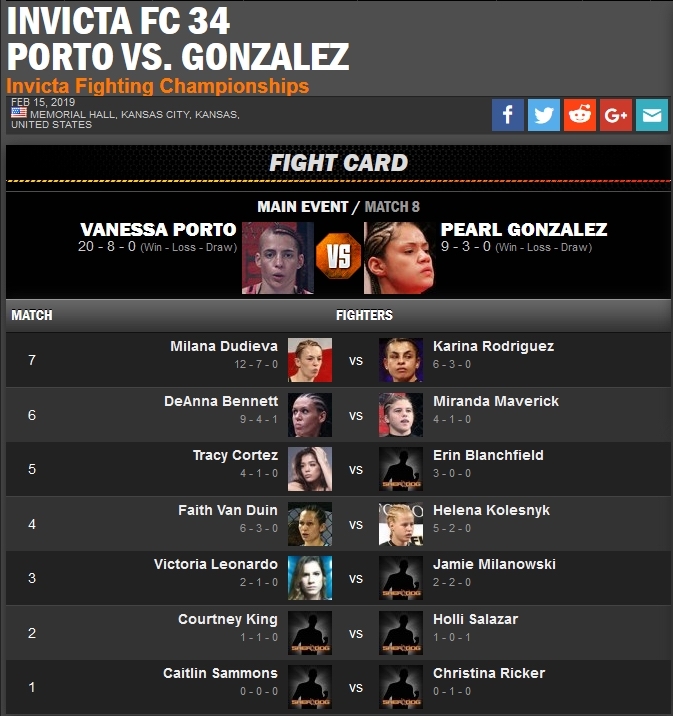 Shame the major books have mostly dropped the ball on Invicta FC lately. Porto dominated almost every minute of the fight and the commission did the right thing to take it to a technical decision after the eye poke she suffered in the fourth round. Good decision on the judges' scorecards and 1.12 units profit for the event. Jim, Nice work on invicta and bellator. Is this book that has invicta lines an offshore available to U.S. players? The only books that had Invicta lines this time to my knowledge this card were Bet-At-Home, which I believe is a book for UK players and one shady Russian site with an abysmal reputation that doesn't officially take U.S. players.